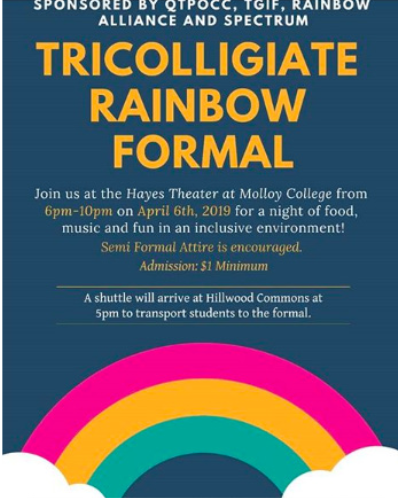 The Rainbow Alliance will host its first ever Rainbow Formal with the LBGT organizations at Hofstra University and Molloy College on Saturday, April 6 from 6 p.m. to 10 p.m. A shuttle bus will transport students to and from the event at Molloy College, free of charge. The bus will leave from Hillwood Commons at 5 p.m.
A poster for the Tricolligiate Rainbow Formal. The Rainbow Formal is a prom-like event where students can have fun and be themselves while enjoying a DJ and food. The goal of the event is to provide an inclusive space where students don’t have to worry about being judged for who they are. Being yourself isn’t the only thing that is encouraged; students are encouraged to dress as they like as well. “Semi formal attire is encouraged, but we want people to dress how they want to express themselves, so if someone shows up in a cowboy costume, no one’s going to stop them,” Nicole Ludwig, a sophomore psychology major and president of the Rainbow Alliance, said. 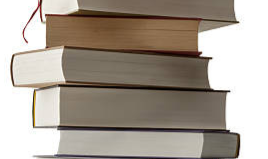 A $1 minimum entry fee is required, but students are welcome to give more. All proceeds will go to Safe Center Long Island, a nonprofit organization that provides services to victims of abuse. The clubs sponsoring the event will pay for it.